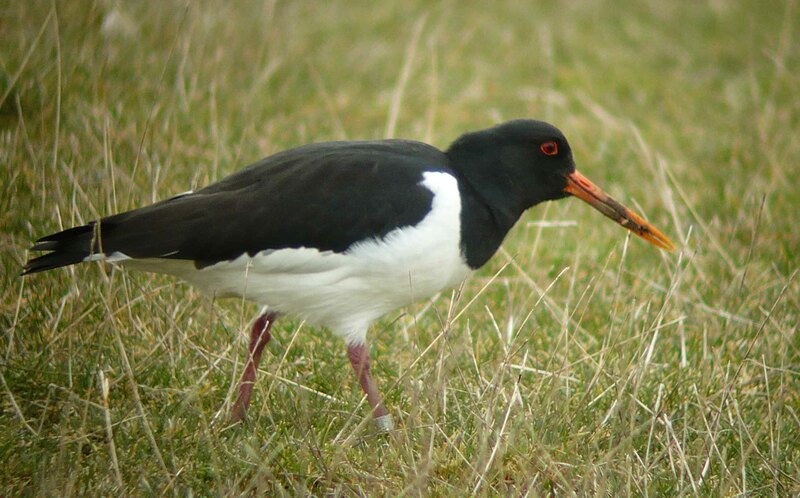 Through 2012, we had a pair of Oystercatchers at the Marina. 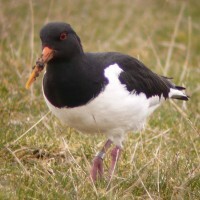 They made a couple of nests in different areas and produced eggs but these were taken before hatching. 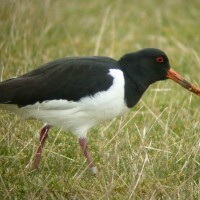 It’s now February 2013 and they have just returned, so we will do all we can to protect any nesting site for this year. It’s not been confirmed that they are the same pair but it is likely and we will be able to confirm this shortly. 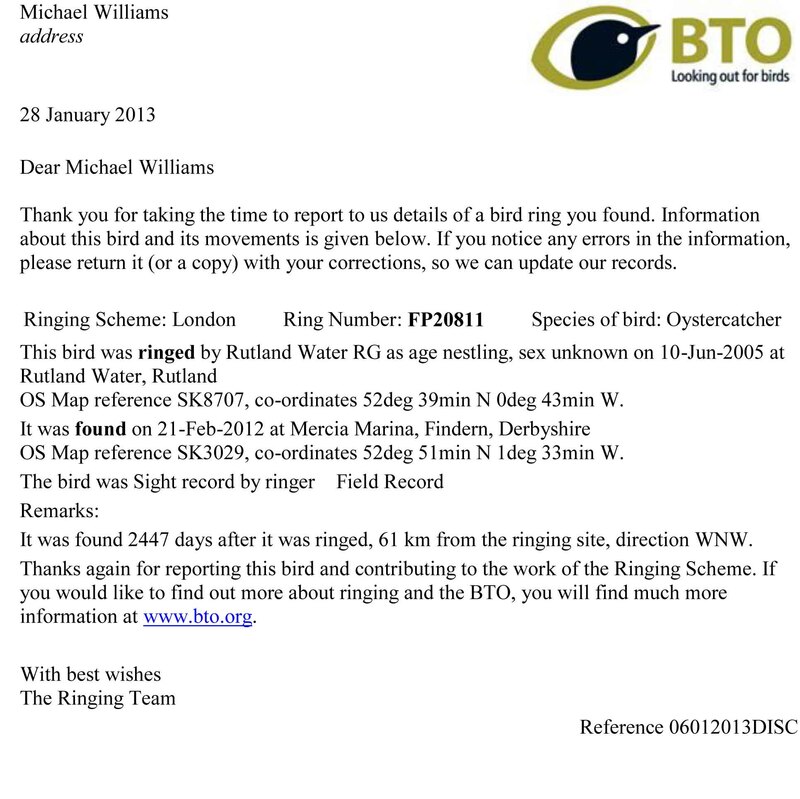 This is because one of last year’s pair had been ringed as a nestling in 2005 at Rutland Water. 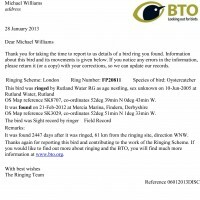 Rose Williams did the photography, Michael sent off the details and the British Trust for Ornithology replied as below.